​​Oliver Stone was introduced to Russian President Vladimir Putin in Moscow while making a documentary about Ukraine in 2015. This led to the extended conversations with Russia’s leader that became “The Putin Interviews,” now airing on Showtime. 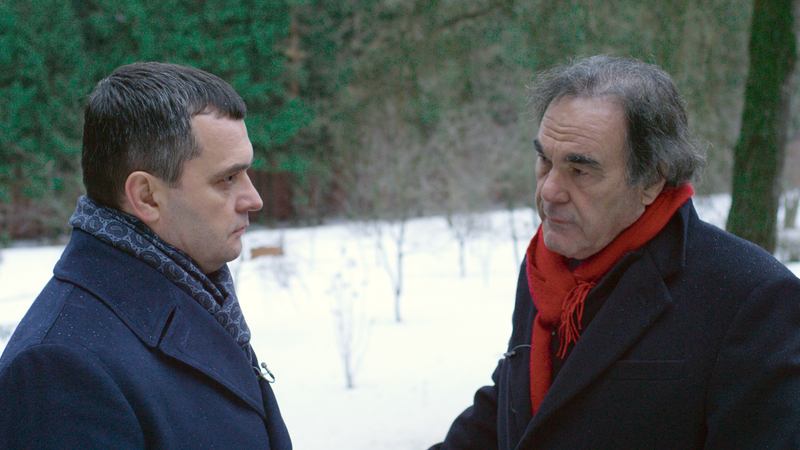 “Ukraine on Fire,” the documentary, was executive produced by Stone and places him in the interviewer’s seat, investigating the Maidan Massacre and the coup that led to the overthrow of President Viktor Yanukovych in 2014. 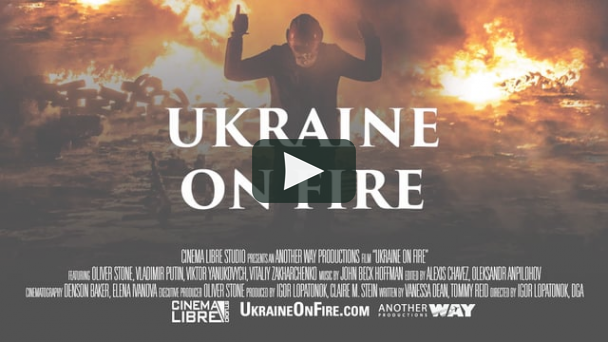 “Ukraine on Fire” is set to be released via Streaming on June 27 and on DVD and Blu-Ray on July 18 by Cinema Libre Studio. Contrary to popular narratives, “Ukraine on Fire,” directed by Ukrainian filmmaker Igor Lopatonok reveals how the fiery uprisings were not a spontaneous people’s revolution as presented by western media but instead a coup d’etat orchestrated by Ukrainian nationalists and the U.S. State Department. For centuries Ukraine has been at the center of a tug-of-war between powers seeking to control its rich lands and access to the Black Sea. 2014’s Maidan Massacre triggered a bloody uprising that ousted president Viktor Yanukovych and painted Russia as the perpetrator by Western media. “Ukraine on Fire” provides a historical perspective for the deep divisions in the region which lead to the 2004 Orange Revolution, 2014 uprisings, and the violent overthrow of democratically elected Yanukovych. In the film, investigative journalist Robert Parry reveals how U.S.-funded political NGOs and media companies have emerged since the 80s replacing the CIA in promoting America’s geopolitical agenda abroad. In addition to Putin, Stone interviews former President Viktor Yanukovych and Minister of Internal Affairs, Vitaliy Zakharchenko, who explain how the U.S. Ambassador and factions in Washington actively plotted for regime change. Stone solicits Putin’s take on the significance of Crimea, NATO and the U. S.’s history of interference in elections and regime change in the region. This is a continuation of Cinema Libre’s collaboration with Stone, having released two other documentaries: SOUTH OF THE BORDER (2010) and LOOKING FOR FIDEL (2006). ABOUT CINEMA LIBRE: Cinema Libre Studio is a full-service mini-studio known for producing and distributing high caliber feature films and social impact documentaries. Headquartered in the Los Angeles area, the team has released over 180 films.